What if I told you that someone could read all the information from your credit cards, debit cards, drivers license, and passport without even scanning or swiping them? What if I told you they could do all that without ever seeing any of those items? This is entirely possible due to something called RFID (Radio Frequency Identification) and it happens a lot more often than you may think. Just like a barcode or a magnetic strip, an RFID card allows for an easy way to read data, but it doesn’t need to be as precisely positioned and can be read from a few feet away or more in some cases. All United States passports issued since 2006 have RFID chips to transmit information like your data and photo, and most credit cards today are embedded with RFID technology. 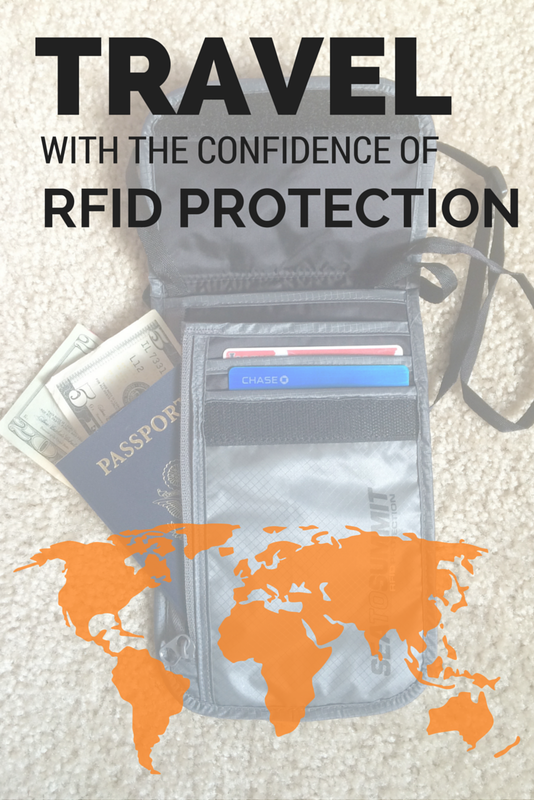 The good news is that there is now nifty gear like wallets that protect against thieves from accessing your RFID encoded information. I had the opportunity to test out the Sea to Summit Travelling Light™ Neck Wallet RFID, a convenient way to keep your personal information secure while you are traveling. 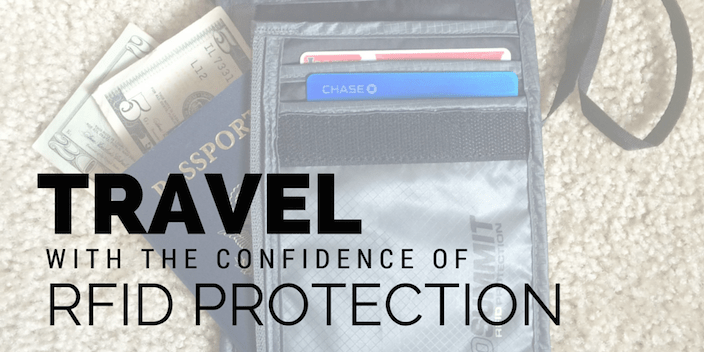 This neck wallet is lined with RFID-proof fabric that protects against digital theft, something you are at a much higher risk for when you are traveling and carrying your passport on you. It is also especially useful if you will be traveling to a place known for higher theft rates. Because it’s meant to be worn around your neck, it is an ideal alternative to a regular wallet as you don’t have to dig around in your bag to find it and you can have your passport, boarding pass, credit cards, and money all easily accessible while also being secure. 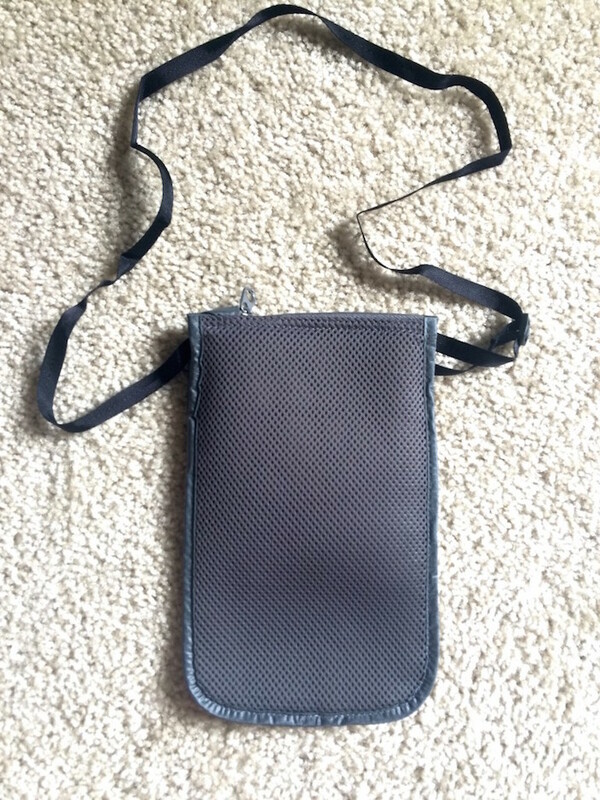 I love the mesh material of the neck wallet as it doesn’t scratch or irritate when it’s next to my skin, and the soft neck strap makes it comfortable to wear for hours. 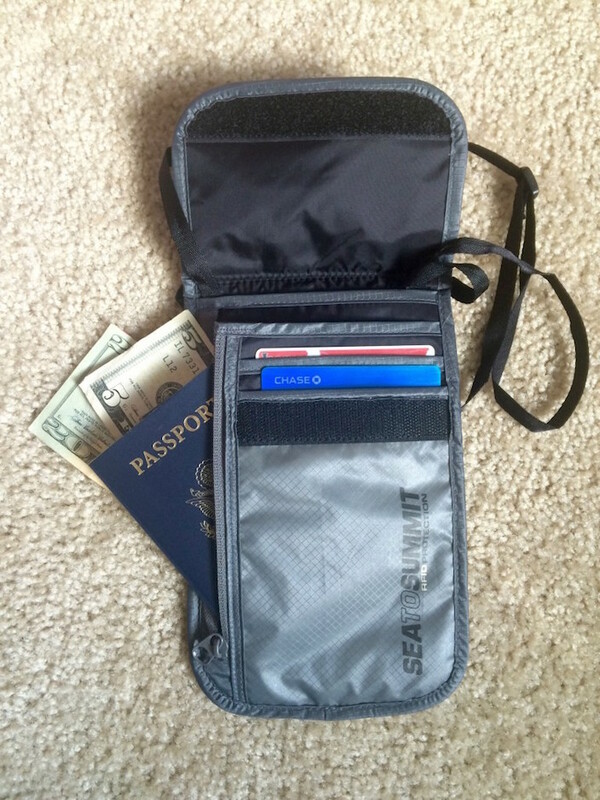 It is also extremely lightweight, weighing in at only 1.5 ounces, a feature I am always looking for in travel gear. Due to its small size, it is easy to keep concealed so you are not flashing your valuables to the public. 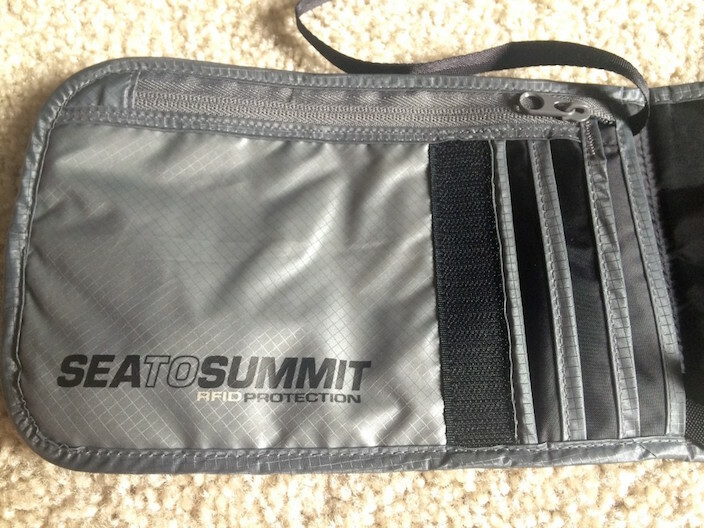 Traveling with the Sea to Summit RFID protected neck wallet will give you peace of mind during your journey and will also provide you with easy access to valuable documents, cards, and money while on-the go. It is great for when your hands are full or when you are trying to keep track of all your belongings, like when going through security or customs. The neck wallets that I have used in the past have been nowhere near as versatile as the Sea to Summit neck wallet. This one is the real deal! You’ll be equipped with the storage, comfort, and security you need for all your travels. 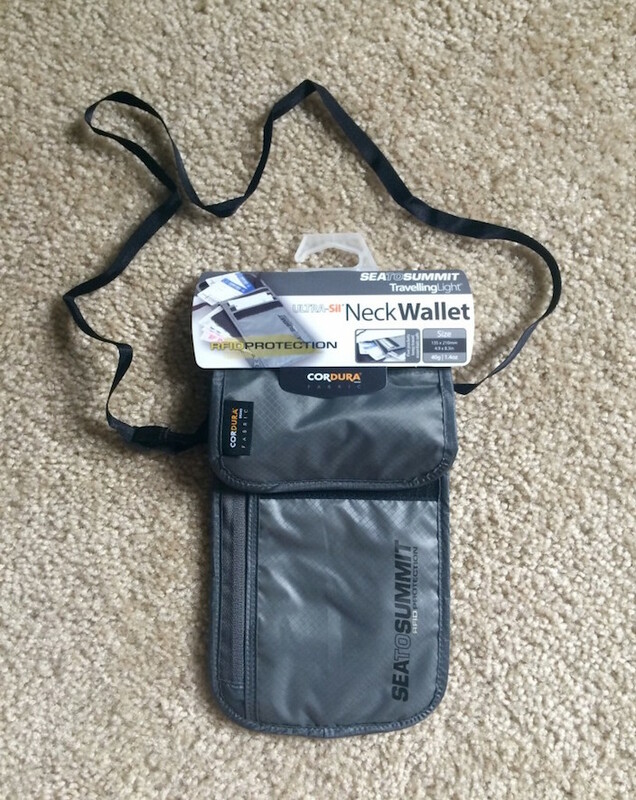 Get Your RFID Neck Wallet Here! Many thanks to Sea to Summit for providing me with this Travelling Light™ Neck Wallet RFID. As always, all opinions are my own. If you have any questions about the companies or products mentioned on this page, please reach out to me and I will happily answer them.